For those of us who grew up with a love of four wheels, this series isn’t about the most exotic cars ever built. This is about the cars, all with four or more seats, that you wish your Dad had owned if only he hadn’t been quite so frugal or if he’d won a decent sum on the pools. Many are now sought after by the collectors of today, realising their childhood dream of owning these classic cars. Good examples that have been well looked after have appreciated in value nicely over the past few years. Starting with cars from the swinging ‘60s, here are our top five picks, and they’ve been chosen, please note, with nostalgic emotion taking priority over their investment potential. We’ll be following up with five more each from the ‘70s, ‘80s and ‘90s. Meanwhile, if we’ve omitted any that were on your childhood wish list, or still are, then please let us know and tell us why. 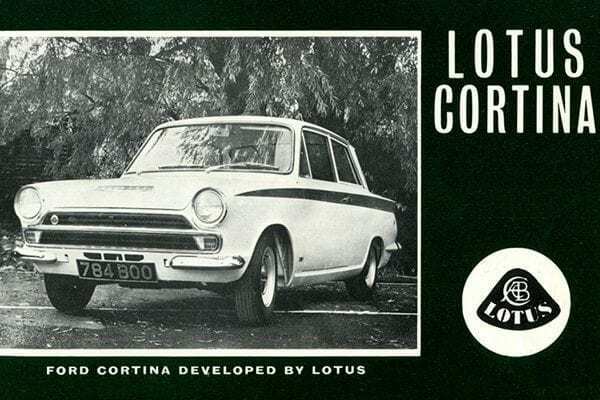 Originally monikered the ‘Consul Cortina developed by Lotus’ but known more simply as the Lotus Cortina, the car was the result of a tie-up between Lotus boss Colin Chapman and Ford of Britain, the latter seeking a sportier image for its ubiquitous family saloon. Entering production in February 1963 with a £910 price tag, the Lotus Cortina was one of the more attainable dreams for the car-obsessed 1960s schoolboy. Powered by the 105bhp 1,558cc Cosworth-developed twin-cam engine from the Lotus Elan, the Lotus Cortina did 0-60 in 8 secs and could reach a heady 105mph. Other modifications included a Lotus close-ratio 4-speed gearbox, lowered suspension with coil springs at the rear, wider rims and servo-assisted front disc brakes, while cosmetic changes included split front bumpers, a blacked-out grille, subtle Lotus badges and the distinctive cream with green sidestriped body paint. The interior boasted comprehensive instrumentation set in an aluminium panel, along with a racy wood-rim alloy-spoked steering wheel and wooden gear knob. The model’s desirability and mystique was further enhanced by its significant competition success, especially when piloted by legends like Jim Clark, Graham Hill, Jackie Stewart and Roger Clark. In common with the standard Cortina and Cortina GT models, the two-door Lotus version was also facelifted in 1964 and 3,301 were built up until late 1966, with the Mk II Cortina being introduced soon after. 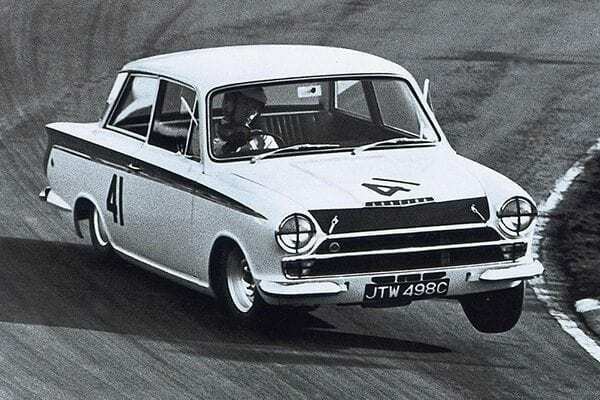 Some 4,032 109bhp/108mph Mk II Lotus Cortinas rolled off Ford’s Dagenham line until 1970, by which time the Lotus badging had been dropped, the cream/green paint was no longer obligatory and the car had become the Cortina Twin Cam. 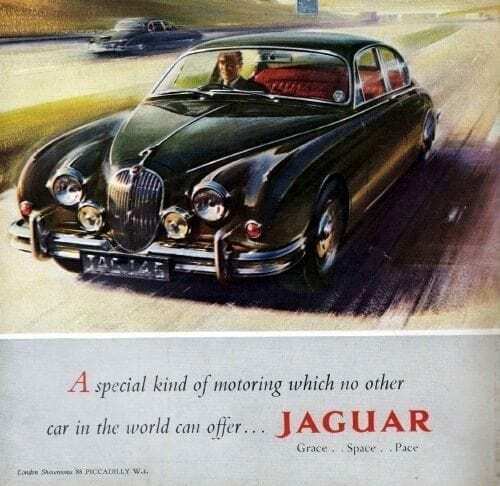 Few – if any – other saloons of the era had the grace, space and pace of the Jaguar Mk.2. 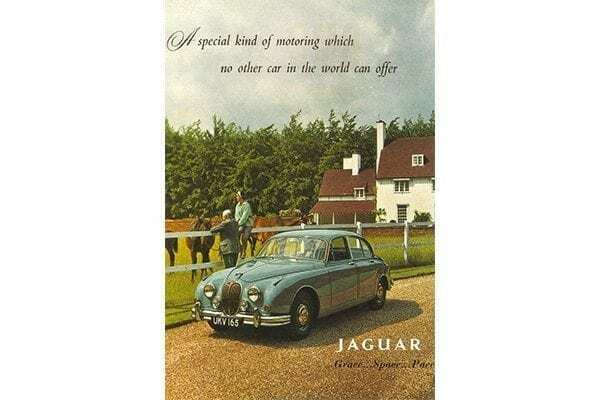 First produced in 1959, the Mk.2 succeeded, naturally enough, the slightly ungainly Mk.I – Jaguar’s first monocoque saloon that had been launched four years earlier. But with a wider rear track and a significantly greater glass area, with correspondingly thinner pillars and posts, the Mk.2’s gorgeous looks hit the spot like no Jaguar saloon before it. 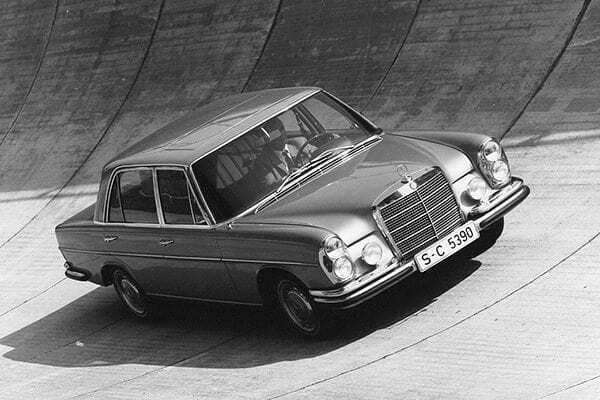 It was a high performance luxury 4-door that, short of a Bentley or Rolls, signaled that you had ‘arrived’. Mk.2 buyers had the choice of three straight-six XK engines of 2.4, 3.4 or 3.8-litre capacity. Initially priced at £1,779, the 220bhp 3,781cc version boasted the engine most closely related to those which had powered the Le Mans-winning C and D-Type racers, the XK series sports cars and, from 1961, the E-Type. Despite its opulent and extremely comfy leather and walnut interior, a manual Mk.2 3.8 with overdrive could accelerate to 60 in 8.5 secs and hit a then-legal 125mph, making it the world’s fastest saloon for a couple of years. With speed like that and all-round disc brakes it’s little wonder that it was also the choice of the criminal fraternity and the motorway patrol police, as well as being favoured by film makers and racing drivers, with Grand Prix stars like Roy Salvadori, Denny Hulme and Mike Parkes all scoring notable saloon car racing victories in their Mk.2 3.8s. A total of 83,980 Mk.2s were produced at Jaguar’s Browns Lane Coventry factory up until November 1967, with 30,141 being 3.8-litre versions. With a 6,332cc fuel-injected V8 shoehorned into the space more commonly occupied by a sub 3-litre straight six, the 247bhp SEL 6.3 was arguably the first of what became known as Q-cars – cars with ordinary looks but extraordinary performance.Able to dash off the 0-62 sprint in a fleeting 6.3 seconds and rumble on to a claimed 142mph top speed, the SEL 6.3’s performance was very much on a par with the exotic 260bhp, 143mph Maserati Quattroporte, although the big Merc’s 369lb/ft of torque made mincemeat of the Maserati’s 273lb/ft. 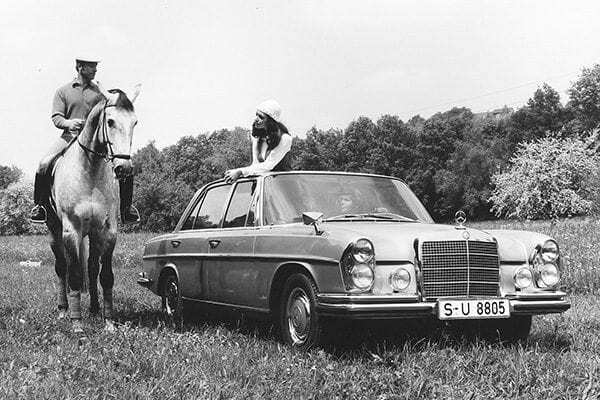 Based on the handsome W108 saloon of which over 380,000 were built from 1965-1972, just 6,523 of those were SEL 6.3s produced from 1968. This dovetailed neatly with the formation of tuning house AMG the previous year, and it was that fledgling firm which spearheaded the big SEL’s impressive, if short-lived, competition career. 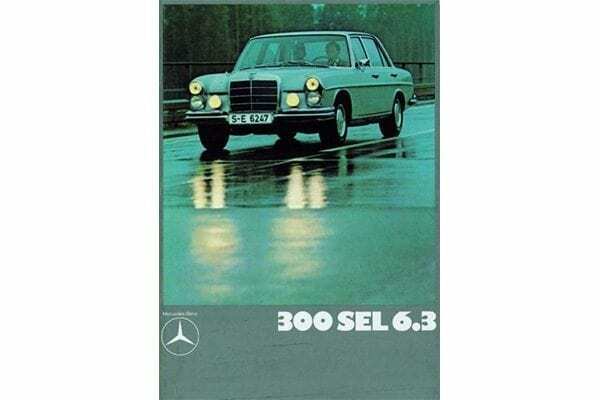 Apart from the halo effect the car had on the Mercedes brand, the SEL 6.3 also helped Mercedes-Benz make better use of the V8 engine it had developed for the formal, slow-selling 600 limousine that had been launched in 1963. Features like auto-leveling air suspension, ventilated disc brakes, a limited-slip diff, powered windows, central locking, a walnut dash and crushed velour all came as standard, while aircon, a powered sunroof, rear window curtains, a cassette tape deck, reading lamps and suitcases were all options. 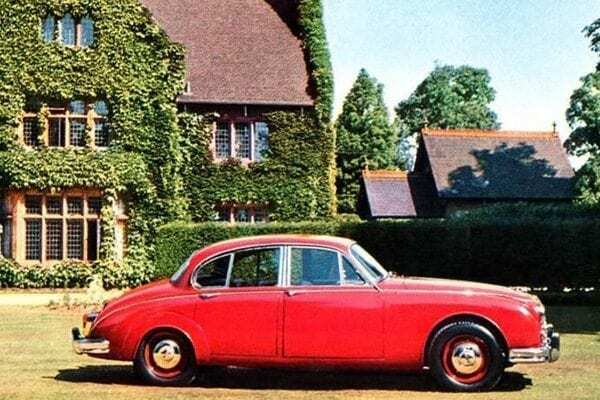 Priced at £8,115 in 1968 – more than half as much again as an Aston Martin DB6 – the SEL 6.3 was hopelessly unaffordable for most UK dads of the time. Launched by the British Motor Corporation in 1959 and sold under the Austin and Morris brand names, the £496 Mini quickly became the epitome of 1960s cool. Tiny on the outside but amazingly spacious inside, it was a masterpiece of innovative design and packaging, and it stole the nation’s heart. The Mini’s popularity was further buoyed by high-profile owners like Twiggy and Peter Sellers, so it also became the first truly classless car. 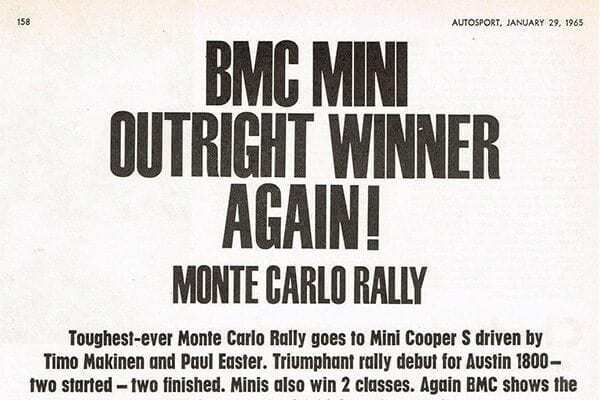 In the eyes of a child though, the humble 34bhp Mini was more a mums’ than a dads’ car, but this would change with the introduction of the much sportier 55bhp Mini Cooper in 1961. 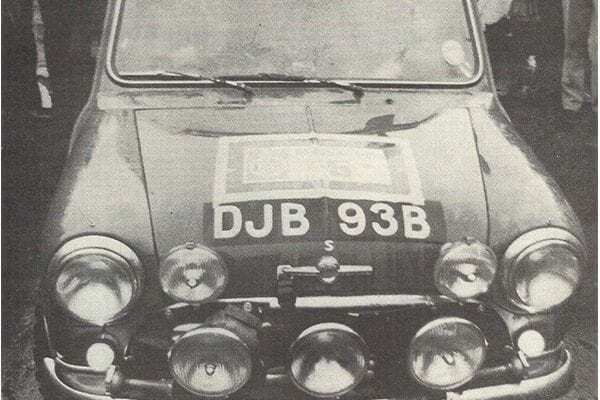 Then, in March ’63, came the still sportier Mini Cooper S. Initially powered by a 70bhp 1,071cc engine, a little over 4,000 were sold until mid ’64 when capacity was upped again to 1,275cc with 76bhp. Retailing at £755, a ‘64 Cooper S could do 0-60 in 11.2 secs and nudge 100mph – pretty nippy back in the day, but it was the car’s 650kg weight and balletic manoeuvrablilty that gave it the edge in competition. 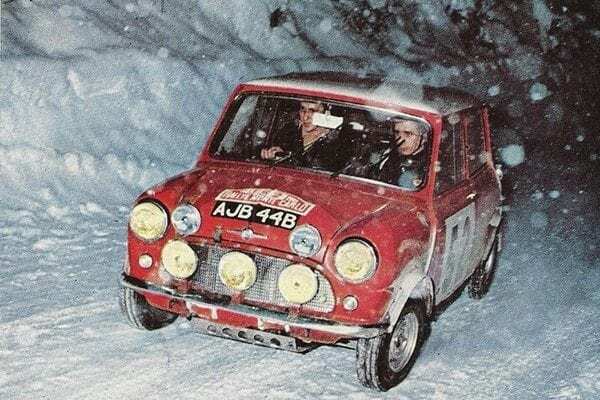 Drivers like Paddy Hopkirk and Timo Makinen became household names for their part in the car’s 30-plus outright wins in international rallying, and the Cooper S was no less successful in saloon car racing scoring innumerable victories throughout the 1960s. Some 26,870 Cooper S found customers until production ceased in 1971 – a tiny proportion of the near 5.4 million pre BMW-era Minis built up until 2000. Not only was the Cooper S the complete embodiment of all that was trendy half a century ago, it was also a giant killer in competition. No wonder dads, and mums, were nagged. 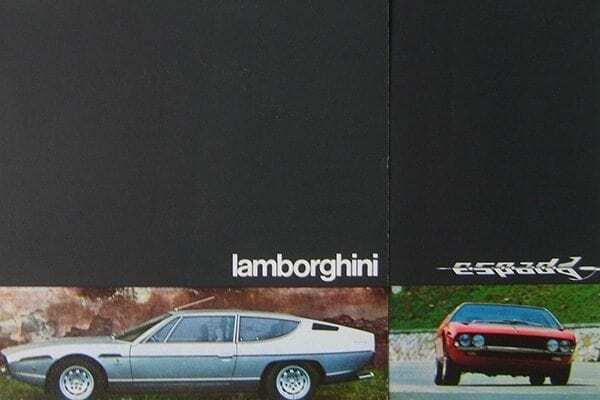 Schoolboys from even the most affluent backgrounds knew that there was little hope of ever persuading pater to buy into expensive and esoteric brands like Lamborghini, but that didn’t stop them from dreaming. 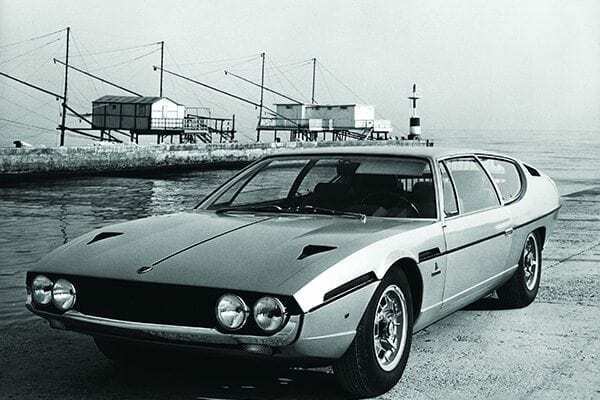 Launched at the ’68 Geneva show, the Espada stemmed from the Bertone-built Jaguar Pirana concept car that had been drooled over in the pages of the Sunday Telegraph magazine a year or so earlier. Jaguar wasn’t tempted to put the E-Type-based Pirana into production, but Lamborghini seized upon Marcello Gandini’s design with gusto and the still prettier Series 1 Espada was born, complete with seating for four adults along with many of the Pirana’s styling cues including the distinctive full-width glass panel above the taillights for better rear vision. Rolling on Campagnolo alloys procured from the Miura parts bin, the Espada had wishbone suspension all round, Despite its suitably comfy ride, it also had the stability and lithe handling that befitted a gentleman’s express costing $21,000 in the US, or around £13,000 in the UK – the equivalent of about £200k today. 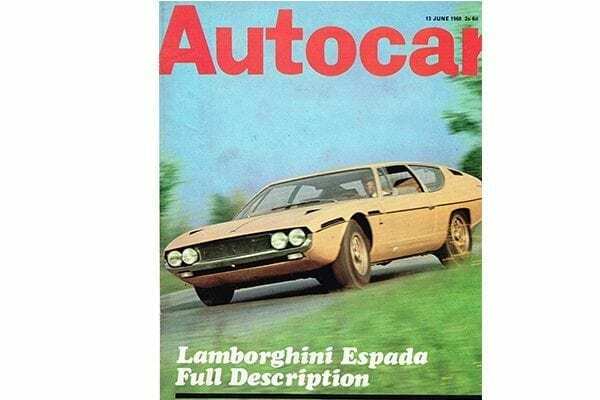 The Espada stayed in production for ten years, and while there were a number of modifications and improvements to the mechanical spec and interior during that time, the car’s stunning exterior remained almost untouched. With 1,227 built it was the Sant’Agata Bolognese firm’s top selling model of the period. So, that’s our list of five 1960s cars, all with some degree of family practicality, that we wished had been parked on our drives back in the day. There were others, of course, bearing esteemed names like Alvis, Facel, Gordon-Keeble, Jensen, Iso, Lagonda, NSU and Rover to name but a few, but it’s time to move on to the 1970s, so watch this space! We’re passionate about classic cars at JBR Capital and we can quickly build a bespoke finance package to suit your needs. So if you’re interested in acquiring the car of your childhood dreams then please call one of our experts today on 020 3355 0035 to explore your finance options.